Mutlicutralim now is literally destroying Europe as it most famous cathedral over 1,000 years old burns to the ground. Notre Dame’s first foundation stone was laid in 1163 by Pope Alexander III, and the cathedral was completed in the 13th century, the building could be lost to to Muslim migration into Europe. Gas tanks and documents in Arabic were found a few years back in an unmarked car next to Notre Dame cathedral, sparking fresh terror fears and at least four arrests, according to French reports. A couple known to intelligence services as being “favourable to the ideas of Isil” were arrested on Tuesday night on their way to Spain, after an anti-terror investigation was launched following the discovery of the suspicious vehicle containing up to seven cylinders on Sunday yards from the cathedral – one of Paris’s most visited landmarks. On Friday she was jailed for eight years in the attempted attack from 2016. Documents in Arabic were reportedly found inside the car outside the cathedral and were “in the process of being translated”. The car, a Peugeot 607 with no number plates, contained no explosives or detonators, according to French reports. “They were not linked to any kind of fuse,” one source close to the investigation told l’Express. Its warning lights were on. 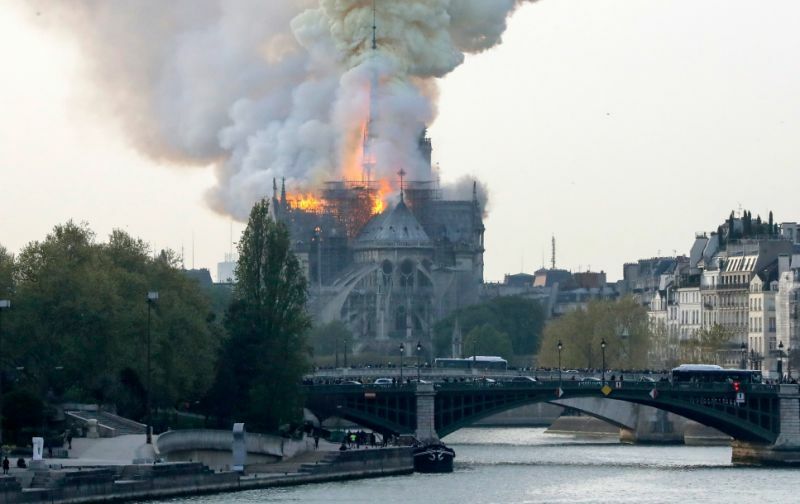 Philippe Karsenty, a former French political candidate, suggested to Shep Smith that the church fire may have been set by possible terrorists. 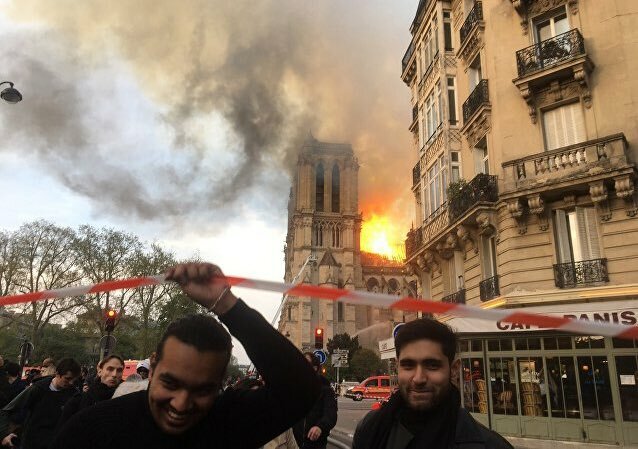 The Muslims, not only in France but throughout the world will celebrate the destruction of Notre Dame Cathedral. Celebrating the death and destruction of Western, or Judaic civilization is part and parcel of this cult’s insatiable thirst for the downfall of Western Judeo-Christian principles from its genesis to its present day. Nor is this death cult alone in its disregard and contempt of the West’s right to exist; the Leftist-Fascist Progressives, the Democrats, the labourites, May’s Tories, and the godless EU are working hand-in-hand with this evil cult, Islam. The daughter of the car’s owner, described by her father as being radicalised, is also wanted for questioning, police said. Its really sickening that there are Muslims who rejoice and make merry at the death, destruction and misery of others. There were some Muslims that made fun and rejoicing at the September 11, 2001 terrorist attacks in the United States. This is another example of the character of Islam. Posted in Terrorism and tagged Europe, France, Islam, Jihadists, Migrants, Terrorism.